Study Master of Business Administration at the University of South Australia (UniSA). Information for Australian students. c) The Program Director may, under exceptional circumstances, accept candidates with substantial and proven managerial and/or entrepreneurial experience who have demonstrated the potential to meet the learning requirements of the MBA. Register here for the next MBA Information Session - 12 June 2019, 6pm, City West Campus. 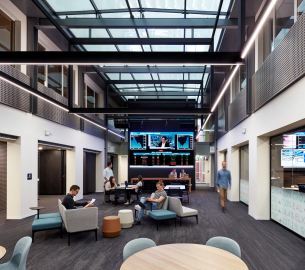 1 2019 Global MBA Rankings, CEO Magazine 2 Australian Financial Review, BOSS Survey 3UniSA Business School is one of just nine institutions in Australia and 180 globally to be accredited by EQUIS (from over 16,500 worldwide). EFMD, February 2019. The UniSA Master of Business Administration (MBA) has been developed for experienced managers and executives. It has a strong practical focus embedded in senior management decision-making and the latest in management research. You will gain real-world insights through access to academic and industry experts, and through curriculum informed by current research and professional practice to maximise your career progression. You will engage with a cohort of experienced peers from diverse industry backgrounds, in a highly interactive learning environment. The fully-flexible MBA program allows you to tailor your studies to suit your individual needs. The MBA curriculum is available fully-online, face-to-face or in mixed mode of delivery. As a guide, full-time MBA students generally undertake two courses per study period and part-time students undertake one course. Studying the MBA full-time will normally take 18 months, however you can fast-track your study and finish in just 12 months. Part-time students taking one course per study period can typically complete the MBA in three years. The MBA degree comprises nine compulsory core courses, two electives and a final capstone experience. A course runs for the length of a study period, and our academic year is divided into four study periods of 10 weeks each. All MBA courses have an applied focus. They draw on real-life business case studies, and you are encouraged to use industry and workplace based issues for assessment tasks. Courses also feature visiting industry leaders who will lead discussions around contemporary business problems. The final Capstone Project requires you to plan and execute a research project for a Board or senior management group. It is your opportunity to demonstrate the proficiency and integrative knowledge you’ve gained in your MBA studies. The courses provide an opportunity to apply knowledge, engage in a real-world learning experiences and to stimulate personal and professional development. You can also select your electives from a wide range of postgraduate courses delivered across the Business School and the University. CAPSTONE OPTIONS: Select one of the following (generally taken when all compulsory courses have been completed successfully). 1. All students are required to attend or view a structured Commencement Seminar prior to undertaking the first course. No grade is awarded for this. 2. Electives are to be chosen from a range of specified elective courses set out in the electives schedule and online timetable or, subject to Program Director approval, from other postgraduate programs at the University of South Australia or from other recognised higher education institutions. 3. The Master of Business Administration is designed as a nested program, with credit transfers and articulation pathways from the Graduate Certificate in Business Administration and the Graduate Diploma in Business Administration. Specialisations are offered in the fields of Finance, Marketing, and Human Resource Management. 2. This course must be taken in conjunction with the relevant Study Tour course as a co-requisite (see course homepages for further explanation). If undertaken as a capstone option, the Study Tour will count as one elective and the Study Tour Project will count as the capstone course. If not taken as a capstone option both courses will count as elective courses. 3. Not all electives will be offered each year. Students should refer to the online timetable for details of courses offered in the current year as additional electives may be offered on a once-off basis. There are 12 courses in the MBA program, run over four study periods each year. Each course is 10-weeks in duration, requiring approximately 15 hours of study per week and may also be offered in intensive mode. 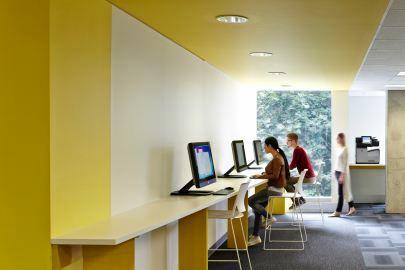 Study periods commence in January, April, June, and September, providing four intakes each year for commencing students. The MBA is offered across four study periods each year as outlined in the current timetable. The 2018-2019 MBA teaching period dates are listed below. The University of South Australia Business School is ranked in the top one per cent worldwide1. Our five-Star MBA2 is recognised and respected globally for its excellence. Since 2007 it has been ranked in the top ten MBA programs in Australia3. It offers a dynamic, engaging, and completely flexible degree that delivers invaluable networking opportunities, preparing you to think and act as a global business leader. Global study tours are available including a two week Business in China Intensive School or the European Summer School of Advanced Management. As part of this degree you can complete the Company Directors Course, offered in a unique partnership with the Australian Institute of Company Directors (AICD). 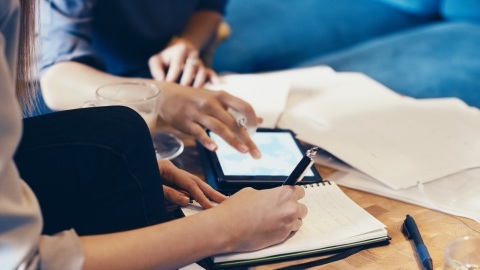 Flexible learning options mean you can tailor your studies to your busy lifestyle, the MBA is offered face-to-face (including evening classes and intensives), online or as a combination of both. Offered through a unique partnership with the Australian Institute of Company Directors (AICD), this highly-regarded course is offered as a recognised elective of the MBA curriculum. The course will give you the specialist knowledge and skills to advise boards, join boards, and to better understand the contribution a high functioning board makes to an organisation’s success. You will also be eligible to use the post-nominal GAICD (Graduate Member of the Australian Institute of Company Directors) upon successful completion. View From the Top is an exclusive seminar and networking series connecting executives and thought-leaders with our MBA and postgraduate students and alumni. Presenters share leadership and industry insights, they advance debate on issues that affect the business world and our society. The Executive Partners Program is a unique mentoring opportunity in which students are matched with a senior executive (CEO or Senior Manager) with proven leadership and managerial expertise and vast business networks. Partners have worked for companies such as Alcoa, BP, Commonwealth Bank, CSR, ExxonMobil, Mitsubishi and SA Health. Every year, two EPP students are invited to participate in an intensive three-week international student exchange with the College of William and Mary in Williamsburg, US. 1 Jobs and Salary Trends Report 2016/7, QS Intelligence Unit. 3 Jobs and Salary Trends Report 2016/7, QS Intelligence Unit. If applicable, scholarship applications must also be submitted in conjunction with the completed MBA application. If you would like to strengthen your business knowledge with a shorter qualification, the Graduate Certificate in Business Administration (four courses) or the Graduate Diploma in Business Administration (eight courses) may suit you. They provide a pathway into, and credit towards, this MBA. Both can be studied face-to-face, online or a combination of both. CPA Australia CPA program - one elective and two core course credits. Get a head start on your degree. Find out if you're eligible for credit from previous studies. This scholarship actively addresses leadership inequality and champions women with leadership potential to advance their careers into senior management and executive roles. 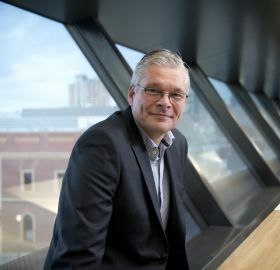 UniSA is offering a dedicated scholarship for Aboriginal Australians to develop their careers as leaders and senior managers in business, government and industry. UniSA Online – 100% online degrees designed specifically for online learning. International short-term and full semester exchanges and intensive study-tours open doors to new possibilities and experiences, and our Business School has strong connections with prestigious universities in Europe, Asia, and the Americas. There are over 25 countries and 60+ universities to choose from. Travelling and studying with leading academic staff and your peers is a wonderful opportunity to develop first-hand knowledge of the international business environment. You’ll find the experience invaluable for your personal and professional development, giving you a global perspective. There are a range of postgraduate Student Mobility Options such as intensive study-tours and exchanges. You can take advantage of Student Mobility Grants to undertake an overseas study experience, making study abroad more accessible. The Business in China Intensive School is a two-week study tour and project, offered in partnership with Peking University – a leading international business school. The Mexico and Chile Intensive is a two-week study tour in Chile. Students gain unique insight into emerging markets, the role that they play in the current globalised world and their impact on the global economy. The European Summer School of Advanced Management is a two-week study tour that gives 100 of the world’s outstanding MBA students an intensive international business experience. It has previously been hosted in London, Glasgow and Copenhagen. Our student support services can make your life at university easier. We provide a full range of support services including academic and personal counselling. You can also access a range of services through our students association, USASA. When you become a UniSA student you can contact Campus Central for help with anything related to your degree. They will help you with your enrolment, ID cards, fees, timetables and any other questions you might have. For the MBA degrees please apply through the UniSA MBA Application Portal. Applications for a small number of degrees are submitted direct to UniSA through our Apply Online portal. It will be noted on the degree page if you need to apply via Apply Online. Yes. The deadline to apply to study a degree at UniSA for semester one (commencing late February) and be given equal consideration is in early December. While you may be able to apply after this date, you are not guaranteed to be considered equally with other applicants and your application may not be assessed in time for the main round of offers (mid January). Some degrees will not make any offers after the main offer round. Please click here find all of the key dates for applications here. If you are interested in studying an MBA please contact admissions@unisa.edu.au and our Future Student Enquiries team will contact you regarding your enquiry. It can be difficult to decide what degree you would like to do and where. You might find information from government organisations will help to weigh up your degree and provider options. TEQSA is a regulatory body for higher education providers. Use the TEQSA national register of higher education providers to search for a course or a provider. Compare courses and providers for undergraduates and postgraduates using the Quality Indicators for Learning and Teaching (QILT) online comparison tool. Visit the SATAC website to find out important news, events and information on applying to university in South Australia. Visit Study with Us to find out everything you need to know about studying at UniSA, admissions and the application process. If you have any questions or concerns regarding your application you should contact the Future Students Enquiries team in the first instance. A review of current thinking for today's business leaders. The MBA has allowed me to make more informed decisions faster than before. It has given me an understanding of the core business of other units within my organisation, allowing me to ask the right questions before I make my own business decisions. The MBA has most certainly enhanced my effectiveness as an executive leader. That alone achieved my goal for completing an MBA. The unforeseen flow-on implications of becoming a more effective executive were that further executive opportunities opened up to me that I never imagined were possible. The UniSA MBA program provided me with the flexibility to fit in with full-time work and family and enabled me to expand my knowledge and networks. Completing the MBA has demonstrated not just my dedication to learning and applying my knowledge in the workplace, but also my commitment, time management and resilience. The UniSA MBA has provided me with the knowledge and frameworks to think and act at a higher level in business. It gives a very well rounded understanding of what is involved in both managing a business, and building one. I found as I went through the program, I was able to directly apply my learning to the various development stages of my business. Doing an MBA is now perhaps seen as a necessary step in any manager’s career. What I feel is sometimes missed is that all MBA’s are not equal. With a world of MBA’s on offer the number of recognised quality standards that had been awarded to the UniSA MBA assured me that I was making a sound decision. I intended to study on-campus, but also had the option of online study. In the end, I completed more courses online and overseas than I did on campus, so the flexibility of the MBA proved to be invaluable. In my teaching, I provide a balance of theoretical knowledge, experiential skill development and motivation to implement. I also bring the practical knowledge I have gained through my industry experience, with a range of organisations from government, defence and banking, into the classroom. The UniSA MBA is a flexible, adaptive and challenging education journey which allows you to apply your knowledge directly to your work environment and gives you the opportunity to grow and build upon your existing skills. I had reached a point in my career that I knew I needed to develop my knowledge and obtain a formal management qualification, to progress personally and professionally. The UniSA MBA provided me with an ability to develop new skills and knowledge in a wide range of areas that were relevant to my role. The UniSA MBA was challenging, rewarding and insightful. Since graduating, I am now working as a Director at consultancy firm Deloitte. The opportunity to make a difference for our clients when it comes to harnessing technology would have been difficult to achieve without the skills I learnt during my MBA. Enrich your studies and your life - make overseas experience part of your degree. Lots of opportunities are available.